Telecoms stakeholders are participating in a two-day consultation workshop about the ECA Bill. 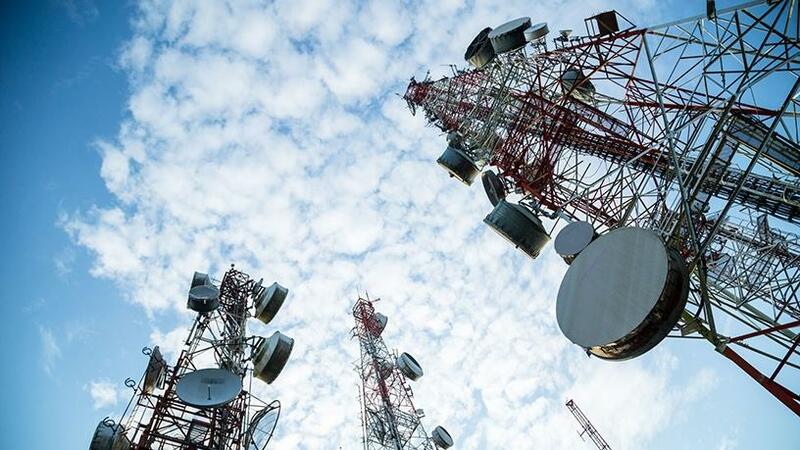 The Independent Communications Authority of SA (ICASA) believes the powers it currently holds in terms of spectrum management should not be limited, as proposed in the Draft Electronic Communications Amendment (ECA) Bill. This sentiment was shared by the ICASA CEO Willington Ngwepe. He was delivering the regulator's presentation on day one of an industry consultation workshop held at the Lombardy Boutique Hotel in Pretoria. ICASA is one of 43 industry stakeholders that have been invited to provide oral input on their concerns and support regarding the mooted changes in the ECA Bill. The two-day workshop is organised by the Department of Telecommunications and Postal Services (DTPS) in an effort to further unpack the key features that give shape to the ECA Bill. According to the DTPS, it decided to establish the workshop as part of a consultative process with stakeholders following submission of written comments on the draft ECA Bill. The Bill, which seeks to give effect to the policy objectives set out in the National Integrated ICT Policy White Paper, contains provisions such as spectrum allocation, rapid deployment policy and the proposed wholesale open access network (WOAN), which have garnered widespread criticism from some stakeholders in the sector. ICASA was first up to present its submissions, and Ngwepe did not hold back on the potential impact the amendments will have not only for the regulator but the sector as a whole. According to him, in terms of current legislation ICASA has the power to control and plan aspects of frequency spectrum management. However, one of the key provisions in the ECA Bill proposes that this power be taken away. In its current form, the ECA Bill proposes for the regulator's functions to be limited to administering, managing spectrum assignment, licensing, monitoring and enforcement of spectrum. "Our view is that the power to control and plan all matters pertaining to frequency spectrum should lie with the regulator. We think it is certainly appropriate and best practice to have an independent regulator fulfilling this function." Ngwepe said this function also speaks to the independence of the regulator, not only where the broadcasting sector is concerned but the entirety of the ICT sector. "The principle of regulatory independence is viewed as critical in the regulation of the ICT sector. The proposed dilution of ICASA's role in respect to spectrum planning, management and control is in our view inconsistent with our international commitments. We think that it falls foul of international commitments but to a greater extent falls foul of the provisions of the Constitution." Ngwepe also highlighted some of the regulator's concerns regarding the creation of a WOAN and the independence of ICASA. According to him, while the regulator believes there is merit in wanting to establish a WOAN, the issue is that the model should not undermine fair competition in the sector. Instead, it should be such that it incentivises investment in the sector and promotes an enabling environment for information to thrive. The Bill clearly states that unassigned high-demand spectrum must be assigned to the WOAN and that will be following policy direction by the minister, said the ICASA CEO. "We are of the view that the creation of a WOAN, especially if it going to be monopolistic, will fall outside of the principles of competition and also undermine all the initiatives that government is staking to stimulate investment and it could potentially undermine efforts of innovation by the industry. "Without the detailed information about how WOAN will be implemented, we certainly recommend a model that does not undermine competition, incentivises investment and allows industry and innovators to continue to innovate. As we implement this WOAN our main caution would be that we need to avoid creating a monopoly and must find a model that best works to ensure that the industry is sustainable." Ngwepe continued to say that the regulator accepts that the mandate and institutional arrangement of ICASA might change, but he believes it will be useful to have the amendment processes of the ECA Bill and the ICASA Act run parallel, as both legislations are intertwined in the manner in which they are operated. "As we amend the ECA we need to bear in mind that those amendments have consequential impact on what the ICASA Act provides for. This will also eliminate any creation of confusion and unnecessary two pieces of legislation." Research ICT Africa (RIA) stands by its written submission that the ECA Bill should be withdrawn. Speaking at the workshop today, RIA said the ECA Bill cannot be considered in isolation, as it is one of a number of expected Bills arising out of the ICT White Paper, including the Digital Development Fund Bill, ICT Sector Commission and Tribunal Bill, and Electronic Communications and Transactions Amendment Bill. "The isolation in which the ECA Bill is being provided is not indicative of a converged approach in which we prefer to make decisions regarding the ICT sector. We are calling on the DTPS to withdraw the Bill until such a time when all four Bills are all ready for public comment." According to RIA, it is also concerned that the Bill could compromise the structure of ICASA. The ICT policy research think tank is of the view that the Bill undermines the independence of ICASA and expands the minister's power in a way that undermines the functional separation of policy, regulatory and operational power. RIA has in its written submission stated that the Bill grants extensive powers to the minister, not only in overseeing the sector, developing policies and representing the country at international fora, but also in the management of scarce resources such as spectrum. "We trust that ICASA as the sector regulator is best positioned to make the decisions around spectrum assignment. The various amendments of the Bill that undercut ICASA's independence, especially concerning spectrum assignment, are in our view unconstitutional and should therefore be withdrawn." Vodacom CEO Shameel Joosub reiterated support for the creation of a hybrid model, which industry bodies presented to the DTPS last year. Joosub was also commenting on the mobile operator's submissions in response to the draft ECA Bill, and highlighted some of the issues and concerns, as well as proposals to the provisions entrenched in the current Bill. The CEO expressed that investors are scared and the Bill is a big issue for the industry. He likened it to the sector's own mining charter. According to him, the industry lost close to R80 billion last year in terms of market cap. Joosub explained that a hybrid model allows existing operators to continue to grow and smaller players to get together to create a competitive WOAN - with the industry agreeing to buy capacity in the WOAN model. "The industry needs to ensure that the WOAN survives and by buying capacity in the WOAN will help ensure its success. The industry needs to ensure the WOAN is successful and speaks to the transformation agenda. "What we see is that hybrid allows industry to carry on growing but at the same time it allows the smaller players to work together to be successful." Joosub added that another big concern is the issue of existing spectrum as the Bill requires telcos to return existing spectrum. He stated that the impact of thiswill slow down investment. "The minute you start to talk about spectrum being returned it makes the entire network useless. We have a R100 billion that we have invested into our network - if we have to return the spectrum then that's the same as expropriation, which means that the network is dead."